What is at the centres of the petals of this extra special bouquet? 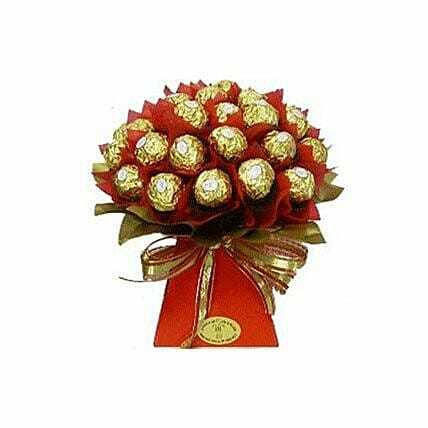 No less than two dozen delectable chocolate, hazelnut and wafer Ferrero Rocher treats! For the person with the sweet tooth, this hand-prepared gift of fine Italian chocolates is designed to please.